Even the strongest men in his situation would begin to conform to norms. Yet, he is not the man who will succumb to circumstances. Many times over the last 10 years he has hit rock bottom. Every penny he made, he invested in his software whims to do good in this society. He continued to compensate his teams, over and above his own survival, to at times sleep with no roof, cash, food and phone. Even his family lost all of it a long time ago when he was barely 20. He was pressed by his family and well wishers to take up a job, for he was receiving lucrative job offers by the day. He was criticised by those who ones loved him. A person in his situation should have not survived. In this period of struggle, no one came to his aid. He kept his head held high, didn’t take up a job and still sails forward like a warrior on his mission to free the world from present structures, boundaries and meanings. This journey is leading him into a true story of rarest courage and conviction, as it unfolds before the world, in more action than words, over a long period of time. If we had to describe Nishchal Kesarwani in one line to you, it would be impossible. However, here is our failed attempt - He is the founder and a boundless leader at Chattodo and Preseed. 1. Karma - His purpose is to work in the area of liberating people through technology entrepreneurship of the righteous intent, so that at least some of them could truly and soulfully do that what is meaningful to their soul. 2. Dharma - He walks the path of karma also to help (wo)mankind make progress through their own actions towards liberating them from their non scientific and rigid beliefs of life and universe, so that they could do what they find harmony in. Hence, his purpose is also to ensure that the soul is not ignored any more. His purpose is to understand and impart the awareness of the god's vibe through yoga. 3. Seva - His purpose is to ensure that each life he touches on this journey to building products gets truly served in their righteous progress. This is how he perceives the value of his products, not through the value of money. The things he do in a day, enable him to stumble upon many teams with good ideas and a strong will to build further upon their ideas, through their skills, perhaps even a sound prototype, logistical and back end capabilities. Almost invariably, if he finds them good enough to ping his mind, he would have views for them that could help them make further progress. But these views are not mere theoretical views, these are strategies that need to be executed beyond the current capabilities of the prototype team. So, in order to help these teams at different stages of the startup life cycle we have allowed for such teams to engage with Nishchal directly. Although, this will be useful when startup teams are willing to stay focused on the strategy proposed by Nishchal, above all else. To truly know him, we highly recommend that you see him in person, watch him dance and hear him talk. Be touched by his contagious smile, rare courage, all rounded genius and exceptional intensity. However, if you can’t get in touch with him in person, then simply read his first drafts of somethings that matter to him, written on his medium essays. Start reading about him from his personal bio in his own words and few photos here, directed towards the entrepreneurs who seek him. 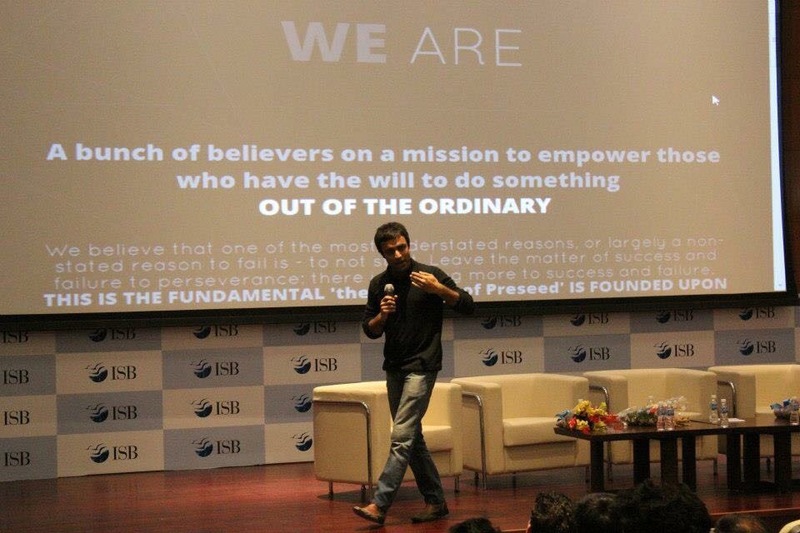 Nishchal’s talk about PRESEEDED at Indian Business School to a 100+ students from there. 80% of what he does in a day is — he builds Chattodo. It is his most important company. He leads it from the front. Everything else he does, is how he handles the requests of other startups or clients with that 20% of his time left in a day, very effectively with this cultural system, called Preseed. Chattodo is a product of which, Preseed is a cultural manifestation. They both run the same blood and vibe.